This year, our Easter week was different than last year. The Little Girl now can get involved with some activities we did as family. And the Little Girl always wants to do what her big sister does, just because it is cool 🙂 She grabbed her drawing book and asked me to draw an egg so she can color it. And she decided that she wanted to draw her own egg. Look at that, isn’t that cute? 😀 But this art did not make it to as decoration because she ended up cutting them up with her scissors just because it was the way she makes art. This girl has a different way for creating arts for sure! The next day, we painted the fake eggs we got at the store together. This was a fun activity for family. They got their watercolor paints and brushes, cup of water and ready to make a pretty mess! She ended up holding the wet eggs by herself and finished her project. Dave decided to paint his egg with the kid’s watercolor paint. He was planning to make kinda look like rainbow, but ended up with this colors. He found his artsy side! I went with clean and simple, no watercolor paint. I used Gold Sharpie marker. I simply draw dots all over the egg 😀 and done. LOL! So, what did you do with your family for fun this past Easter? I would love to know more creative ideas 🙂 THANKS for sharing it with me! 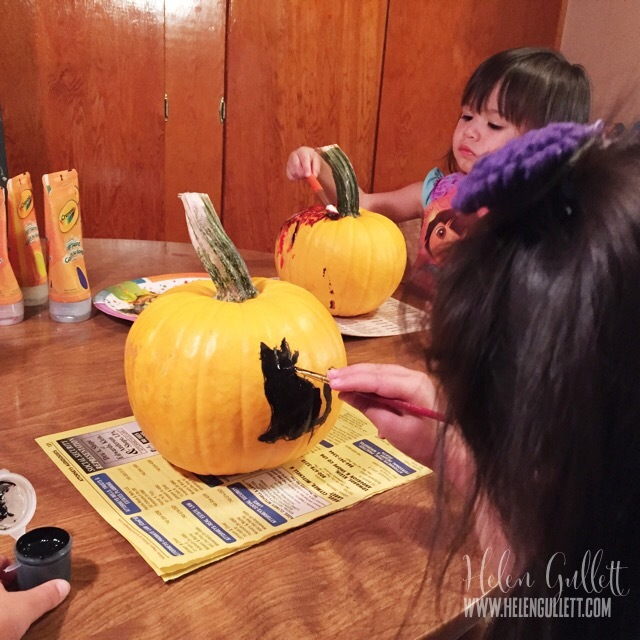 DIY Painted Pumpkins, Kids Can Do It! 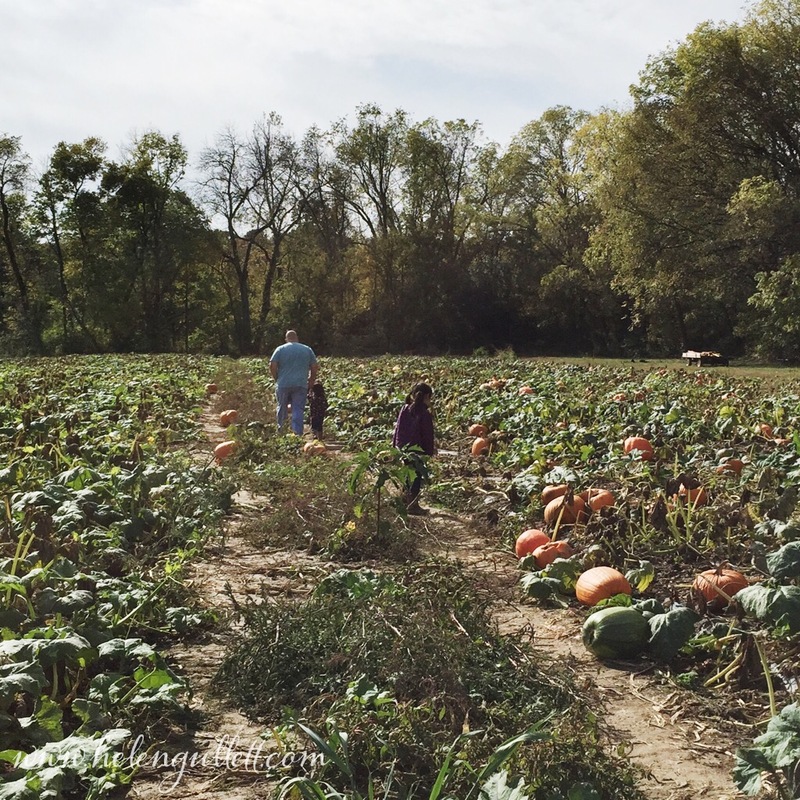 A couple of weeks ago, we took the girls to a pumpkin patch where they picked their own sizes of pumpkins. It was an interesting thing to do as family for sure, especially now the little girl is walking and pretty much wanna do what her big sister does. We also thought that it would be fun for them to decorate it by themselves. I asked the big girl how she wanted to decorate hers by giving her some clues like with stickers, or glitter, or gems, or markers, or paint. 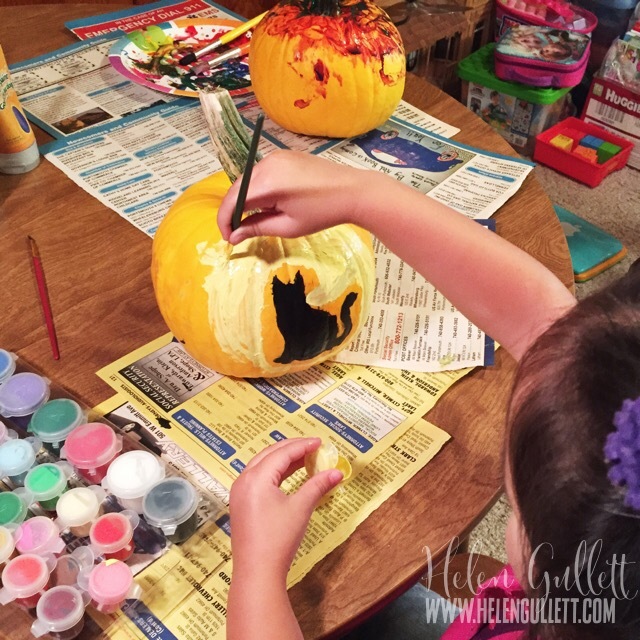 And she decided to paint her pumpkin. And I thought… That will be a messy one! And of course the little girl also wants to do the same thing like her big sister. So we went with Painted pumpkins. 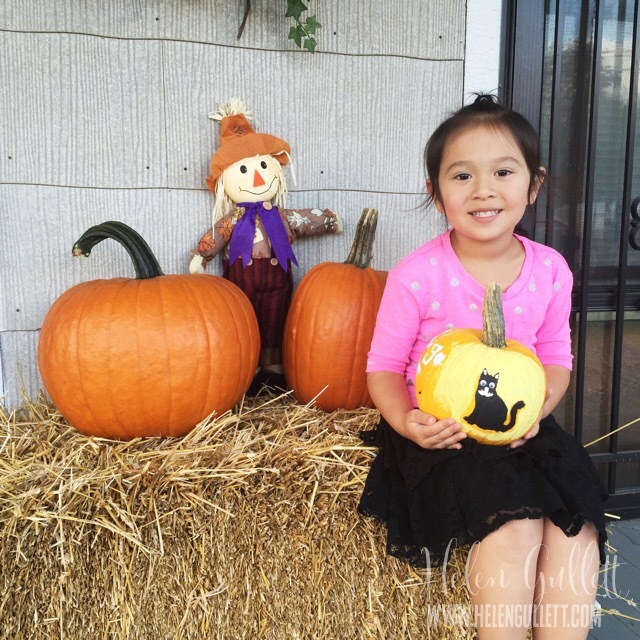 The big girl wanted a black car on her pumpkin. I thought would be easier for her to paint using stencil. 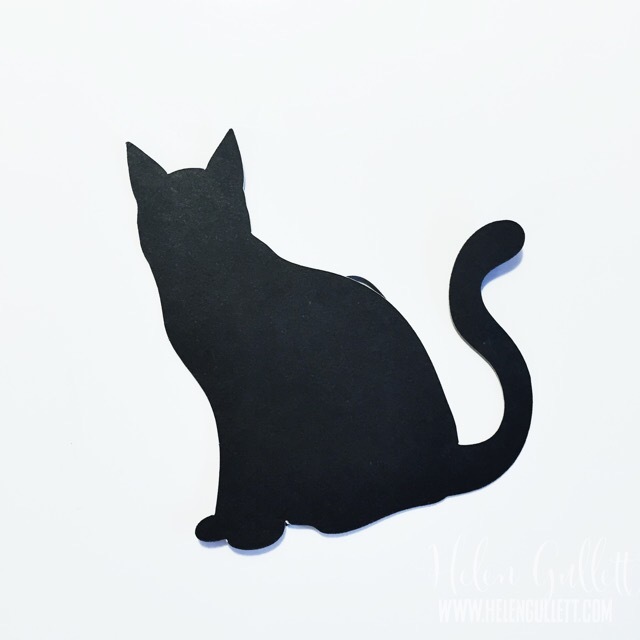 So I got a cat shape at Silhouette Online Store for only $0.75 because Silhouette has 25% deal for all Halloween shapes until October 31. Scored! 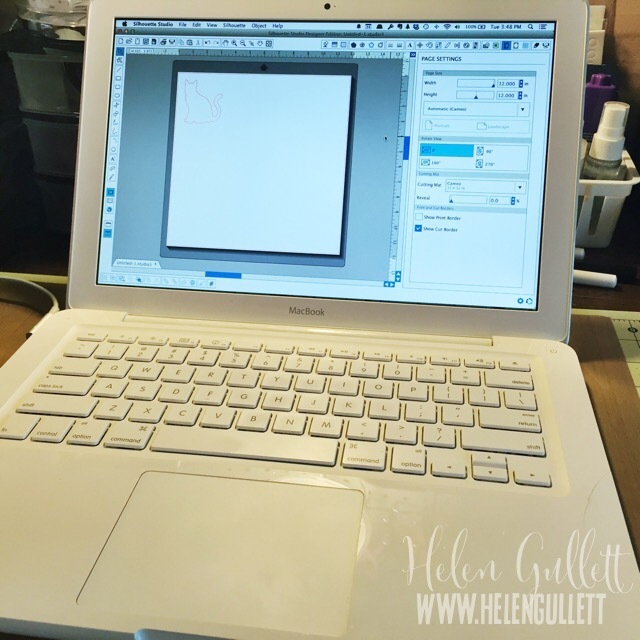 I opened the shape on Silhouette Studio Designer Edition Software, resized it to about 4 inch tall and sent to cut the piece of cardstock. 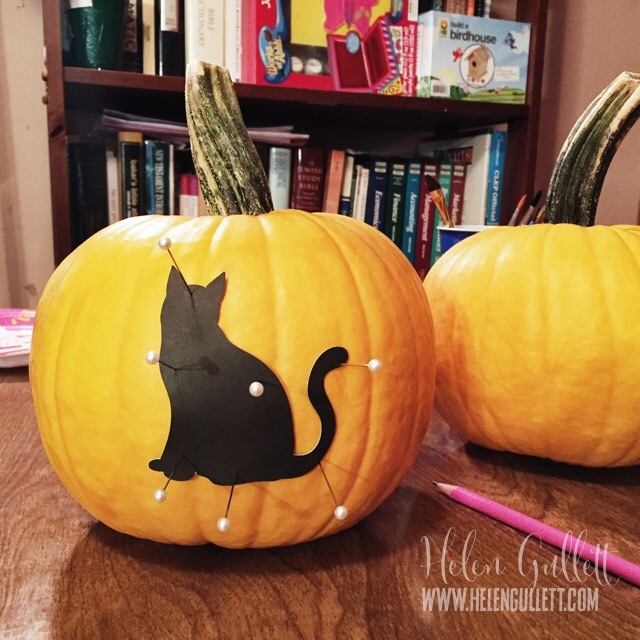 After that I used pushpins to hold the cat cutout on the pumpkin and traced it using a pencil. Then she started to paint the cat using kids acrylic paint we had at home. You can use any kind of acrylic paint as long as it is safe for kids. Sometimes the fume from the paint is too strong for kids. MAKE SURE you have enough scrap paper or old newspaper covering your table before you let the kids star painting. 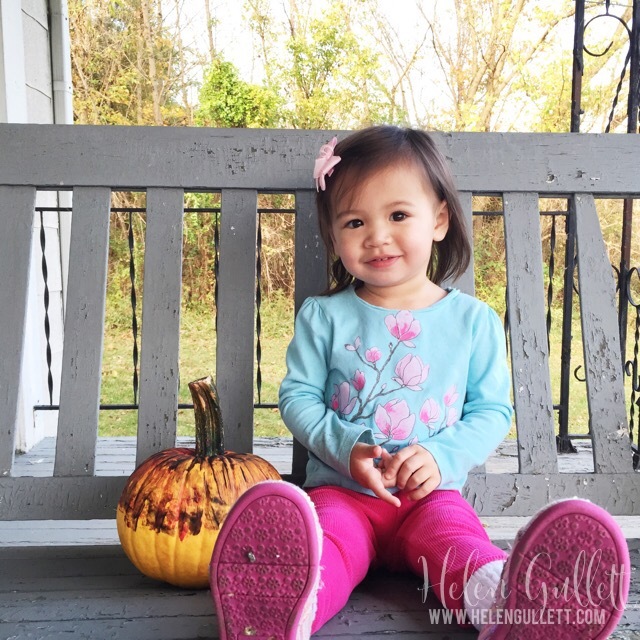 The big girl took her pumpkin to her school Annual Fall Festival & Pumpkin show on Oct 18th, 2014. And for the little girl, she used Crayola Finger Paint for kids (this a no mess paint, washable and in tubes). I put red, blue, green and yellow on a paper plate. Then I gave her a brush but she asked for two because her big sister had more than one. 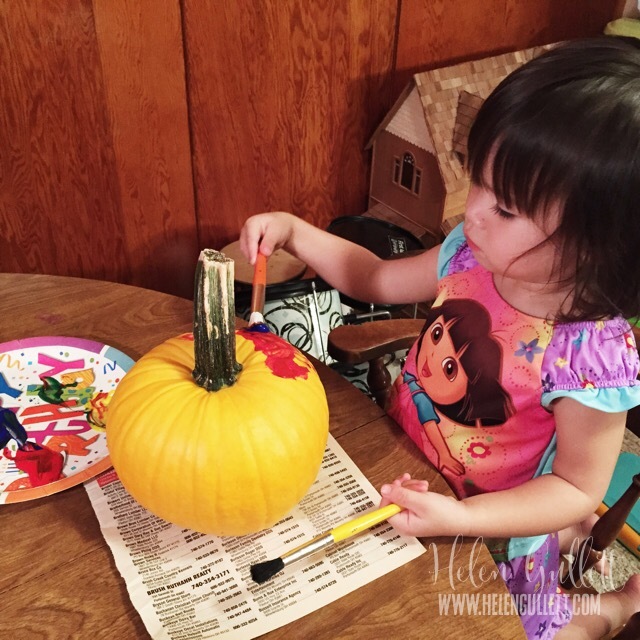 Once she had a brush on each hand, she just went ahead express her creativity on her pumpkin. And she loves her arty pumpkin! What did you do to decorate your pumpkin this year? Did you do it as a family? I miss my big girl crafting with me. Since she starts Kindergarten, we have less time together. After school usually her time to play with her little sister, do homework, dinner time, bath time, family reading book time and bed time already. 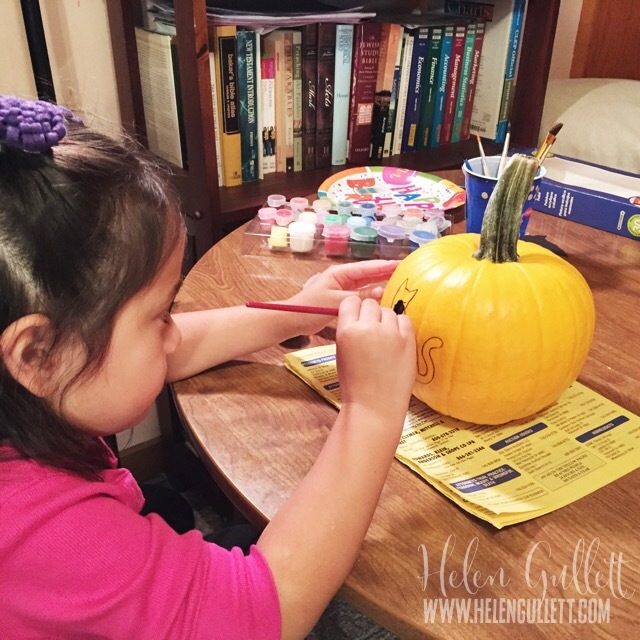 But this afternoon, when the baby sister was taking a nap, we had some time together to do this fun Fall/Thanksgiving theme craft. I found this turkey kit at Hobby Lobby for 40% OFF! Scored! 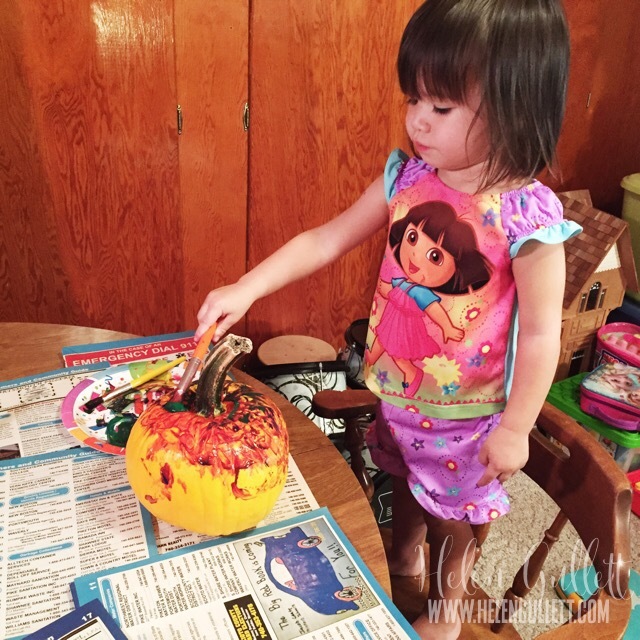 It is easy to do and she loves that she can read every step… So much fun crafting with my big girl!